Hearthstone Inn and Suites is centrally located on the south side of Louisville, Kentucky. We hope that you will find our rooms warm and inviting and a pleasant place for you to kick off your shoes and relax. We are happy to offer you Wireless High-Speed Internet access, in room coffee makers, 25inch color TVs with cable, pay-per-view movies and games, irons and ironing boards and much, much more. We also are pleased to announce that we have upgraded our mattresses and are also using high quality luxury linen with four fluffy pillows on each bed, as well as new comforters and soft fleece blankets. Our courteous staff are waiting to prepare a Great complimentary Continental Breakfast for you each morning to help you start the day just right. 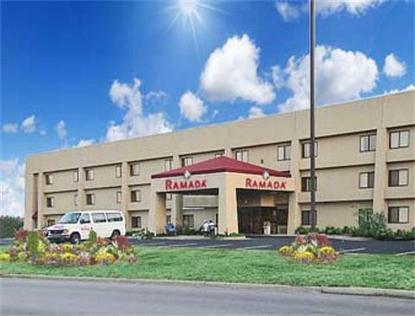 The Hearthstone Inn and Suites of Louisville, KY is within close proximity to many local businesses, restaurants and attractions such as Louisville Fair and Expo Center, Louisville International Airport, Downtown Louisville and Fort Knox just to mention a few. Also, for your active leisure time, Six Flags Kentucky Kingdom, Louisvilles own River Bats AAA Baseball Team and Churchill Downs are all within 15 miles. All of us here at Hearthstone Inn and Suites are committed to your comfort.